The end of the year is a time to reflect on the progress you’ve made, and all the hard work you’ve put into growing your business. This holiday season, reward employees and express your appreciation with thoughtful accessories to help them excel in the future. You can keep the momentum going with promo gifts that highlight their strength, and help instill your New Year resolutions. A few popular ways to ring in the New Year range from setting goals to be healthier, finding methods to stay more organized, and becoming more involved in the community. Corporate holiday gifts that help individual employees reach these goals make a unique gesture and bring even more smiles when personalized. 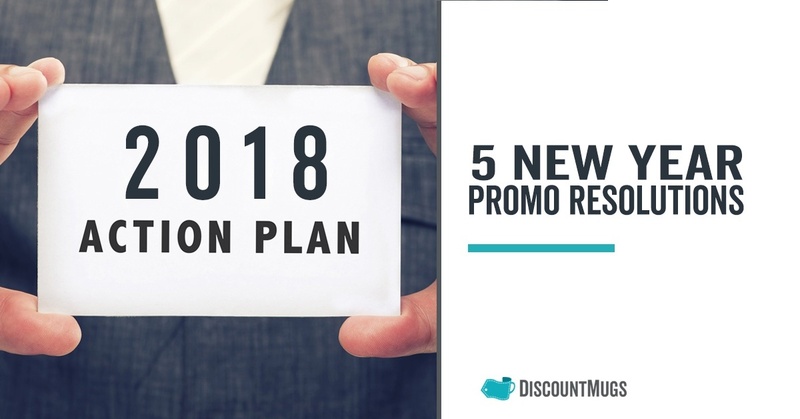 Here are a few ways you can keep an eye on those goals and promote your business. When you plan for the year ahead, you’re more likely to stay organized and meet your business goals. Giving calendars as a gift this time of year is a great idea because they can be used every single calendar month. 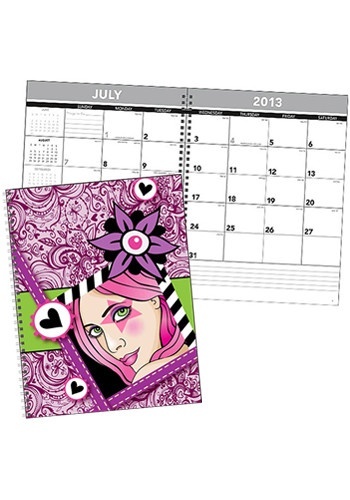 Customize calendars to promote your brand within the office. 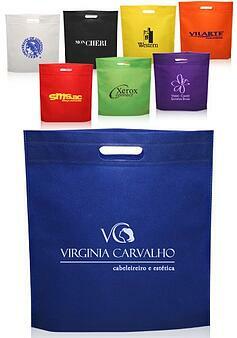 You can give them out at the holiday or New Year party, but also as gifts to vendors and contractors. Employees and other recipients will use these calendars to mark meetings or important events, plus birthdays and other reminders. Calendars can also alleviate stress levels for employees who manage multiple projects at once. Getting in shape is perhaps one of the most popular New Year’s resolutions. Help your employees meet their personal goals with customized pedometers. Tracking steps is a fun way to keep up with health stats. Plus it can also motivate recipients to become more active. You're not limited to only one kind – you have options to select from! 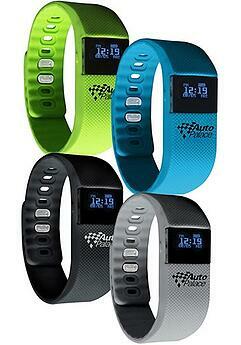 Some pedometers attach to clothes via a clip, while others can be worn as a bracelet around your wrist. Sometimes it can be hard to take the first steps towards getting in shape, and pedometers are a thoughtful way to kick-start your coworkers into gear. The turn of the new year means we get to start over! With our nutrition, that is. Why not make a resolution to drink more water this year? 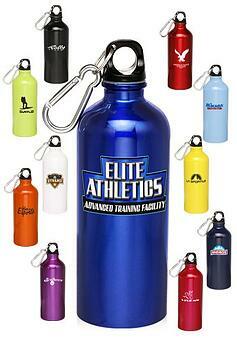 Your clients and employees will apreciate sipping from aluminum water bottles personalized with your logo. A great gift, they allow for hydrating on the go, too! You can give them as a gift or giveaway with a delicious presentation by loading each bottle with holiday treats. Have the bottles customized with your company logo, and a unique and inspiring quote. This way your brand will be associated with a positive and meaningful message. Mother earth will thank those who make a resolution to go Green in 2018! Encourage employees to cut down on waste in the New Year and save resources. Customize recycled shopping bags and gift them during the holidays to encourage the use of recyclable bags when grocery shopping and everyday errands. Whenever any of your clients or employees uses the bag, you’ll not only be helping the environment, but promoting your business as well! Those who haven't tried using recyclable bags as a way to carry their belongings may be inspired to shop greener at local shops and farmer’s markets. Next year, promise you’re going to be a little more organized! 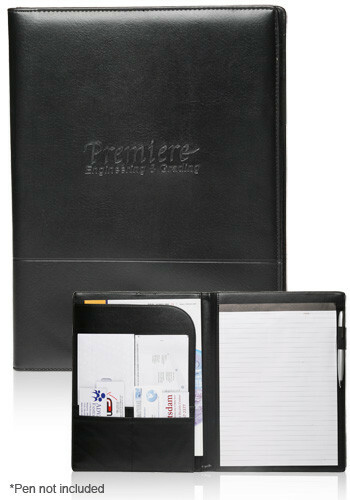 Start at the root of it all by gifting employees or clients smooth leather portfolios that come equipped with letter-sized notepads. A highly professional gift or giveaway that provides the user with plenty of room to notate or doodle, they can also be customized with your logo and brand name. Portfolios are a great way to promote your business, too. Employees on the road will represent your brand, or gift to clients who will love taking one of their own. 2018 quickly approaches, ring it in with corporate gifts help achieve personal goals and double as promotional items. You can make your presentation extra-special by personalizing the item of your choice with your company logo or holiday communication. Other ideas include t-shirts, mugs, badge holders, and customized glassware. Explore our amazing catalog to find the right gift idea for your business. Did you enjoy our suggestions? Read on for more ways small businesses can thank their clients this holiday season. Let us know in the comment section below about your plans for the upcoming year.